There’s no secret to a mobile app that rules million hearts that goes beyond how well its Backend and Frontend is developed. And the presence of well-structured frontend and backend, or their lack thereof, is what leads to a rise or a steep fall of any mobile app and ultimately the startup backing it. While Frontend in itself a lot sorted in terms of it being a mere ‘the-step-ahead’ on the efforts put in by the Backend team, it is the Backend development process, particularly one involving Mobile app backend database, that needs some extra eagle-eye attention. Backend Development, as we have already established in our Guide on Mobile App Backend Development is what powers the effortless experience that mobile app users swoon over and decides the future of a startup. And to achieve something so crucial the industry has offered a number of development tools and platforms. One such tool that we are going to discuss here at great lengths is a powerpack offered by Google that goes by the name of Firebase Backend-as-a-Service – a platform that has over time created a lasting impression on both developers and startups, establishments around the globe. Here’s an infographic showing the market of Firebase and enlisting the companies using Firebase in their processes……. Firebase Backend-as-a-Service which started off as a YC11 Startup grew into a next-gen mobile app development platform for Google in no time. 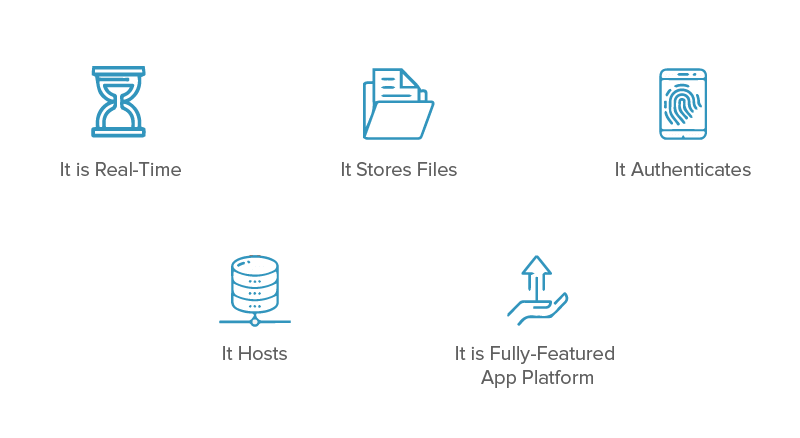 The platform that gives developers two options – Realtime and Cloud Firestore – frees Firebase developers from the need to manage servers, write APIs or simply manage their datastore and focus on something that really matters – Curating amazing user experiences. Most of the databases present in the industry today makes you do HTTP calls to gather and sync your data. But, when you connect to Firebase, you make a connection via WebSocket and not HTTP. Now, the case with WebSocket is that they are very fast and you are not required to make specific WebSocket calls as only one connection is enough to sync all your data through the single WebSocket. Firebase web app sends over new data instantly as it is updated. When the client saves a change in data, all the connected clients get the updated data in real-time. Firebase offers an easy way to save the binary files to Cloud storage straight from the client. The storage comes with its own security rules system for protection of your GCloud bucket from masses while giving detailed writing privileges to the authenticated clients. Firebase auth comes with built-in email and password authentication system. It supports OAuth2 for Twitter, Facebook, Twitter, Google, and GitHub. Also, since Firebase OAuth2 is mainly copy/paste, developers can finally bid adieu to the difficulty that comes tagged with Custom authentication coding. Firebase comes with easy-to-use hosting service used for all the static files and serves them via global CDN having HTTP/2. And to make the whole development process completely painless, Firebase host makes use of Superstatic, which you can run locally for all the testing needs. The Superstatic + BrowserSync development environment that Firebase comes with is very neat. While BrowserSync handles all the reloading of development app across the connected devices, Superstatic copies Firebase mobile app hosting in a way that developers can deploy straight to the Firebase for production use. Now that we have looked at what Firebase is and what it stands for, it is time to look into the reasons that make Firebase for Startups ideal for those who are just starting with the mobile app development domain and are looking for a platform that would help them concentrate on creating real value for the users, instead of dealing with the time-taking backend tasks. 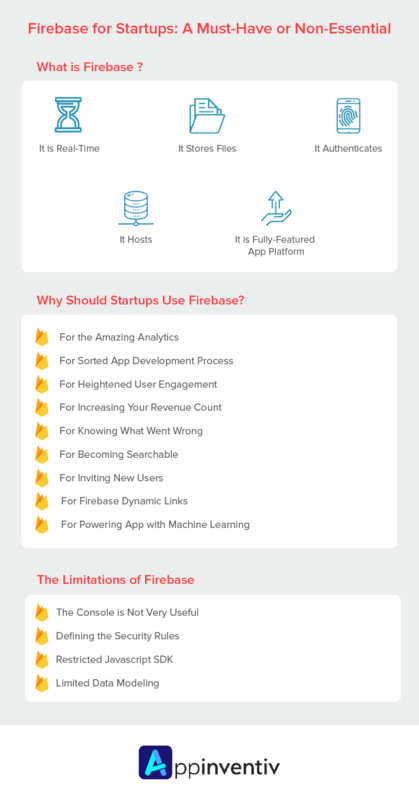 Why Should Your Startup Use Firebase for Apps? What is Google Firebase if not a product that offers a series of insights and analytics? One of the most preferred features that come tagged with a Firebase mobile app is its Analytics dashboard. The dashboard is free and comes with a capacity of reporting over 500 different event types with each of them carrying over 25 attributes. The dashboard helps give a clear picture of the user behavior and in measuring the different users’ attributions. Lastly, it helps businesses in understanding how users interact with their app, giving them ways to optimize it better for the future. For the companies using Firebase, the platform takes ownership of a number of processes that are otherwise known to take away a major part of the developers’ time thus keeping them away from developing quality apps that offer unprecedented user experience. No matter what category your mobile app belongs to, the ultimate aim that all businesses wish to achieve is high revenue and popularity – both that comes as a result of positive user experience. Firebase web apps and native apps come with a number of in-built features that not just give you insights into the users – how they are interacting with the app, the stage where they are leaving the app, the part they are engaging with the most etc, but also give you measures to correct declining engagement. Firebase is more than a mobile app backend database. 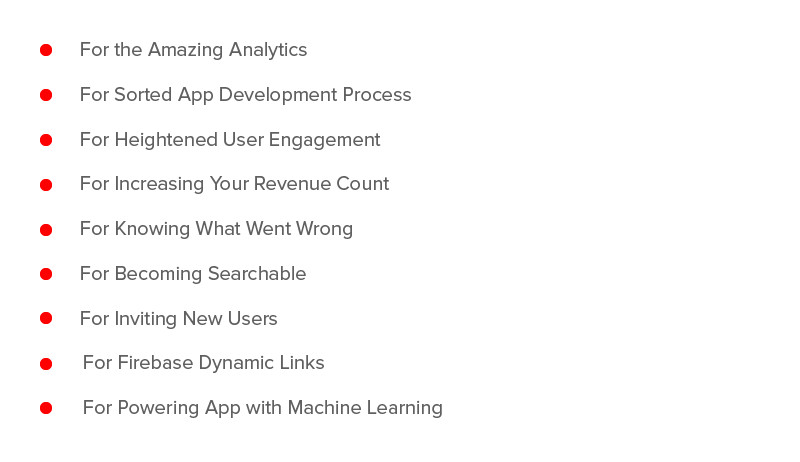 Firebase prepares you to earn high revenues on your mobile app. The AdMob Firebase feature enables you to monetize the app even when you are at the stage of thinking about giving a pleasant experience to your users. With Firebase, you can show your ads to millions of the Google Advertisers in the real-time, select the format that suits your mobile app, and work with over 40 ad networks with AdMob mediation. The feature that comes with Firebase for web apps and mobile apps helps in the creation of a detailed report of error which is categorized in groups having comparative stack flows chosen according to the seriousness of the impact that it has on the users. Other than that, it also gives businesses the ability to register to the custom events which helps in identifying crash before it even occurs. The only direct route, besides advertisement, that will make your brand a known name in the world of millions of prospective users is through mobile app indexing – a process that will place your application on the top fold of the search engine when a user enters a query seeking solutions that your app offers. Firebase for apps come with an in-built App Indexing feature which makes it possible for you to place your app on the SERPs and thus in front of millions and billions of Google Search Engine users. Google Firebase with its ‘Invites’ feature makes it possible for you to motivate and compel prospects to become loyal users. It allows you to send customized emails, invitations, and messages to the potential clients directly on their device in a time that you choose. Firebase Dynamic Links is an example of deep linking done right and a silencing answer to ‘Is Firebase good?’. The links work as you want them to, on the platform of your chose and even when your mobile app is not installed on users’ devices. With the Dynamic Links, users get just the right experience of the platform, which they open the link on. When users open your Dynamic Link on Android or iOS, they are taken to the linked content of your app. Likewise, when the link is opened on a desktop, the link takes them to an appropriate place which would get them the right experience. Moreover, Dynamic Links operate across different app installs functions: when the user opens a dynamic link of Android and iOS when the app is not installed, they are given a prompt to install the app, and once it is installed, the first launch page of the app is one that users clicked the link for. Nowadays, with the upsurging demand of Machine Learning powered mobile apps which contains features like – text recognition, face detection, image labeling, barcode scanning, and landmark detections – has become one of the must-have element for every app that is to be termed as innovative. Firebase, with its ML-Kit, offers you both – an on-device and Cloud-based API which works even when the network connection is missing. So, you see how beneficial Firebase can be for your startup? 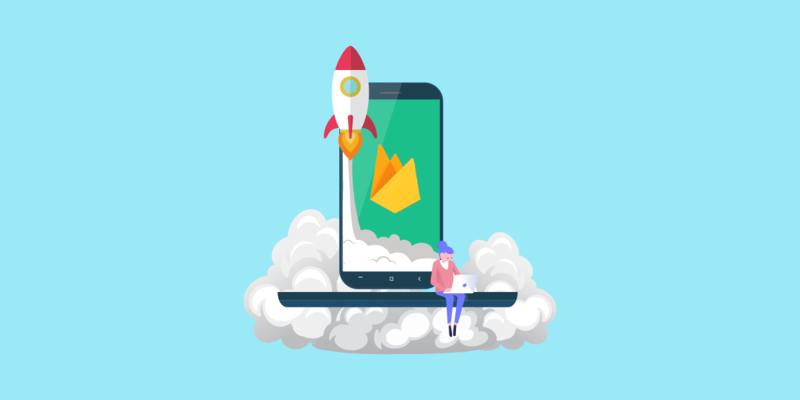 Now even though there are a lot of benefits that come attached with the incorporation of Firebase in a mobile app, there are some hard to ignore limitations as well that come attached to the platform. Let us look at them before we head on to studying the instances where it makes sense to invest in Firebase and places where it doesn’t. Although the console lets you do multiple things but in the end, it is not very useful. A very limiting part about the console is that there is a massive lacking of detailed analytics and logs. While you get a graph showing the database usage, it is difficult to know the number of times a file was downloaded until you find a solution for yourself. Although, all your hybrid, web, and React Native applications will work even when data is lost momentarily when you close the tab or application the data is completely gone. So, it then comes on you to implement a cache, which can be a pretty time-taking task on mobile. Firebase database is simply one big JSON file. There’s not even a single way to show many to many or one to many relationships. When put into practice, it means that you will almost always end with duplication of data everywhere. Now that we have seen the limitations that Firebase comes with, let us look into the time where it makes sense to employ the platform and place where it doesn’t. Firebase For Startup: When does it make sense and when it doesn’t? After all plus points and limitations are seen and adhered to, the deciding factor of when Firebase should be used and when Firebase for Startup is a bad option ultimately come down to the complexity of the mobile app project. If the app belongs to simple to medium level complexity, Firebase should be incorporated in your mobile app but if your app belongs to high complexity and deals in a lot of data, you should choose some other option, one where the data is entirely in your control. Also, when you consider the Firebase pricing into the picture, it will again make greater sense to use it for smaller projects as compared to complex ones. After all said and done, the fact remains that we have worked on Firebase, a lot, and have been enjoying the experience to a huge extent. So for us, the only right answer to – is Firebase good? Is YES! So, before we help you get direction to our Backend team who would help you get started with Firebase, let us look at how our experience has been so far. We have worked around a number of Firebase offerings. And using Firebase Analytics, we have created several project management tools and content management systems. Overall, we have enjoyed working on Firebase. It is hands-down an exceptionally useful layer and flexible platform for building both mobile and web applications. The platform has worked in our favor under a number of different projects that we applied it in – project management platform, a real-time chat, and a billing system. The one thing that we loved about it is that Firebase grows as your development cycle grows – we first used Firebase editor for mocking up data and getting the idea of how the application works and then, later on, used the datastore, the same one, for serving up a huge amount of data per month. It is almost surreal when the application you have developed works in a true real-time sense. It doesn’t ask people to wait as the page loads but give them the information as they get asked for it. But realtime is an everything or nothing element. In case your data fails to broadcast updates, it becomes difficult to join with the realtime data again, making it very tempting to drop the idea to real-time altogether. However, with Firebase’s APIs and high applicability, we get to work realtime from the very beginning of the project. We have moved from some test projects to hundreds of live design products without having to deal with the database servers. Firebase scalability, indeed, has been one of the most convenient elements for us when it comes to handling an infrastructure. All the apprehensions that we had when it came to trusting Firebase for development of fragile and critical data structures were solved with us locking and securing a number of areas of the database for allowing only our RPC methods to modify them. Wish to incorporate Firebase in your mobile app? Get in touch with our team of Backend Experts, today! “How Chatbot Development is Shaping The Business Growth Story,�? “How Will 5G Networks Impact Your Mobile Apps in 2019?,�? “Realtime vs Cloud Firestore: Which Firebase Database to Choose,�? Experienced Senior Software Engineer with a demonstrated history of working in the information technology and services industry. Skilled in open source and enterprise level technologies like Node.js, PHP, C++ , .NET along with NoSQL Databases, Relational Databases and Requirements Analysis. 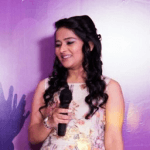 Strong engineering professional with a Master of Computer Applications (MCA) focused in Computer Programming, Specific Applications from Banasthali Vidyapith.